I am currently a Co-founder and Illustrator for Esclair Studios. Here is some of my work for the Studio,including the logo design, business card design, and the website I designed. 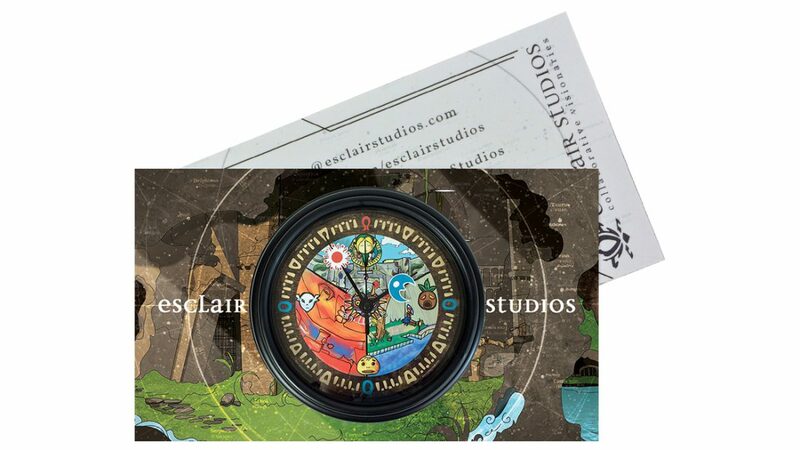 This is branding for 2013-2016 – Esclair Studios specializes in Home Decor, and offer Wall Clocks, Prints/Posters, Pin Back Buttons, and even Travel Mugs to fill all of your fandom needs! We are constantly working on new designs and products. We are based in Clarksville, Tennessee and we travel to conventions across the Southeast United States, selling our unique Wall Clocks and Artwork. 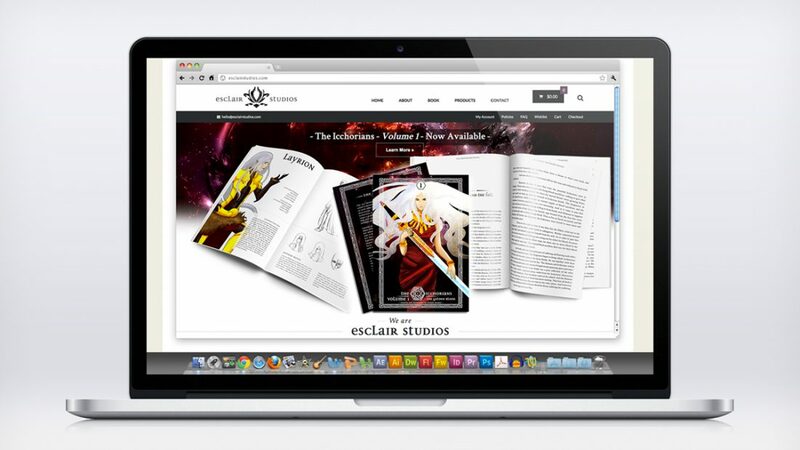 You can visit Esclair Studios online!